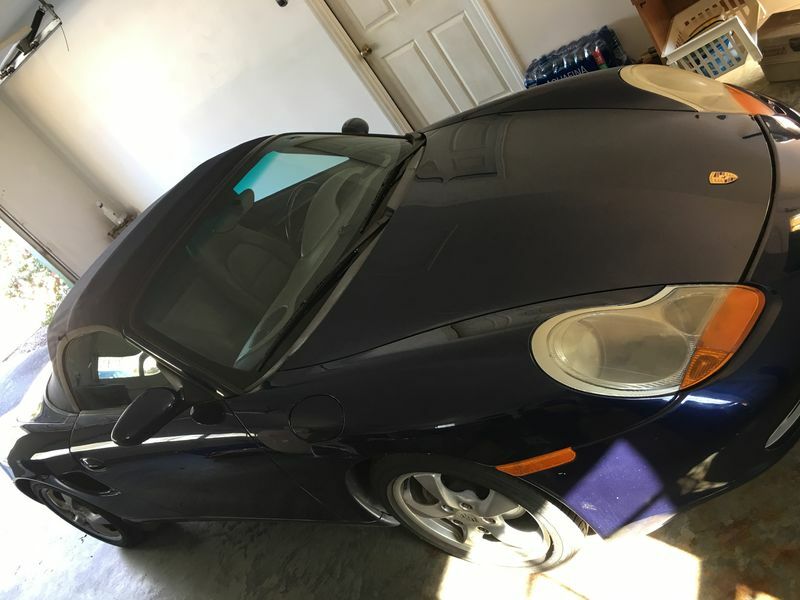 My dad finally broke down and bought a project car like he’s been threatening to do for 15 years: a 2001 Boxster. 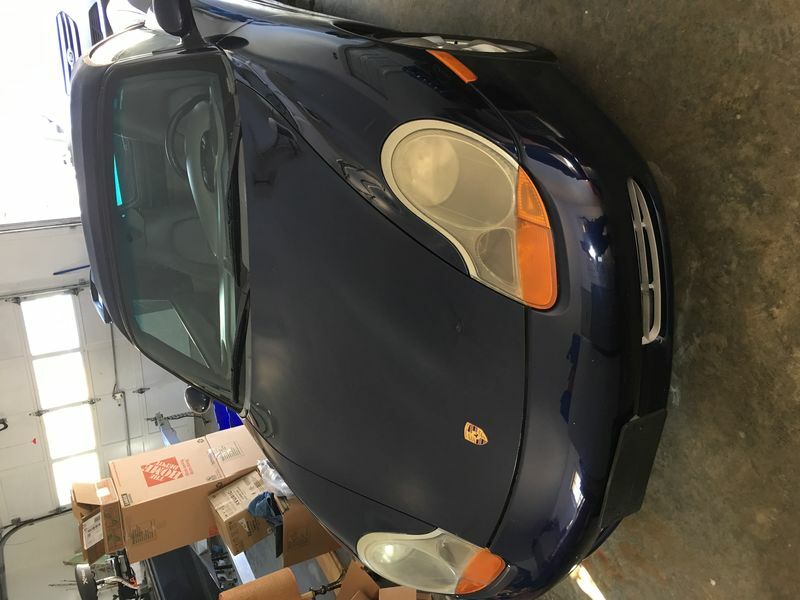 He’s got the time and the money to have repairs done, he just doesn’t use the Internet and so it falls to me to do research and help him locate parts and accessories for it. I’ll be posting here on his behalf, and I appreciate any assistance you can offer. Post away! And let's see some pics! The story is that this car was owned by a lady who got sick a while back. 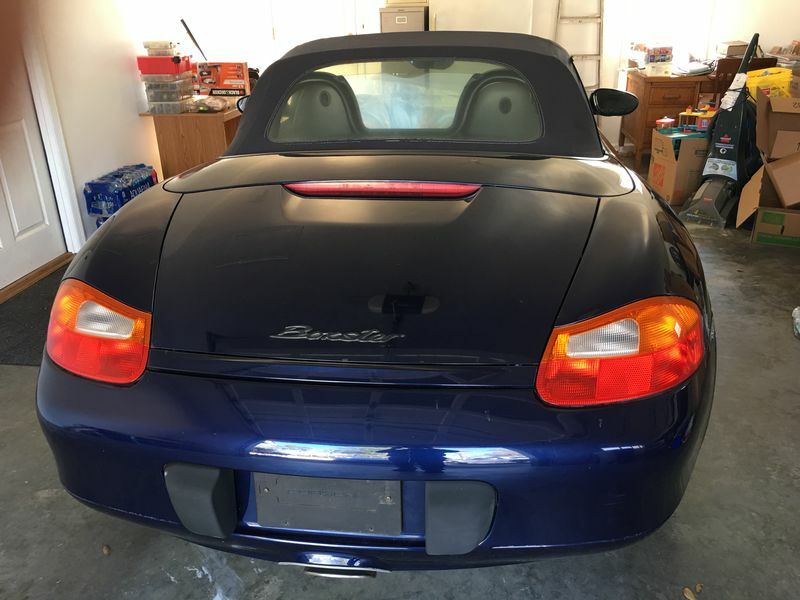 When she passed away, it took several months for her husband to decide to sell it. It sat during that time and has not been driven. The interior was intact but a bit musty from being closed up. Some of the emblems on the dash buttons are worn off. The car is suffering from the ignition switch issue, so the dash lights kept pulling the battery down. The previous owner must have disconnected the battery to charge it because the stereo is locked. The stitching on the top was dry rotting and the rear window was rigid. I noticed one rock ding on the bonnet that a paintless dent repair guy should be able to fix. After that, a good detailer ought to be able to make it look better. I'll try to get some more pictures the next time I am over there to visit. I was surprised these came out since it was in in the garage. We pushed it outside and got the bonnet open to jump it off, but I forgot to take more pictures. Sounds mostly cosmetic and basic maintenance---Enjoy the Ride! Welcome and congrats on an awesome project. I'm attaching a link to our site's DIY tech articles on the 986 platform. Let us know if you have any questions or if we can assist with any future part needs.